Kenya was dominant at Berlin Marathon 2018 this year. Yes yes, Eliud Kipchoge set an amazing world record I know, I know, but you can read all about that everywhere (it WAS amazing and total joy to watch even on the replay). We may not have expected the sheer beauty and comprehensiveness with which he smashed that record, but I think it’s fair to say that everyone expected him to win the race. On the other hand, compatriot Gladys Cherono surprised pretty much all the pre-race predictors by coming 1st, AND smashing both the the course record and her own PB by over a minute, finishing in 2:18:11. The moral of the story : if even an elite can have a lack-lustre half marathon and ‘only’ 4th place in London Marathon but still have the guts to go out there and run with some real gung-ho attitude, don’t let recent performances make you think you can’t do it. Be more Gladys. Dibaba set the pace early on but Cherono took the lead at halfway with the three of them never far apart. Cherono said “I was feeling very strong. I wanted negative splits. I never looked behind, because I was not fearing anybody.” She’s now 4th fastest in the world. After my point in the preview that the 2015 course record had been set way back in 2015 by Japan’s Mizuki Noguchi and remained disappointingly untroubled for a long time, we had an amazing race where all of the top three women ran faster than the course record and under 2:19. I’d like to think they read my preview and thought they better do something about it! Ruti Aga was again second to Cherono but this year by a slightly larger margin of 23seconds but an insane PB of over 2 minutes which takes her up the rankings to 6th fastest in the World. 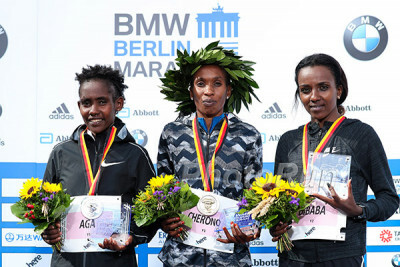 She finished ahead of pre-race favourite and openly WR-chasing Tirunesh Dibaba (2:18:55) who suffered from rap and, like 4th placed Kiplagat failed to get the PB that the course bestowed on the rest of the top 5. Kiplagat can still claim the honour of being the first able-bodied (I hate that term) elite athlete to finish all the world majors though. I hope she gets her star medal. The reason I’m ‘running’ late this week is because I disappeared into stats-heaven after Berlin marathon. This spreadsheet is for you geeks who are interested in pre-race VS post race ranking, + or - PB times, clubs, age categories, country rankings etc. Fill your boots. Canada’s ladies fared very well, with Rachel Cliff, theCanadian half marathon record holder, finishing her first competitive full marathon just outside the top 10 (2:28:53). She was closely followed by countrywoman, Lyndsay Tessier (2:30:47) with the biggest PB of the top 25 women - 6minutes and 8 seconds! Absolutely smashing it out of the park for the Brits, Stephanie Davis debut’d in 25th place with 2:41:16. Yes!! Go Stephanie! Sadly, there are quite a few DNF/DNS’s in there too such as Ireland’s Ann-Marie McGlynn, home-girl Anke Esser and Canadian Sasha Gollish and Ethiopian Aselefech Mergia for who it was the second DNF in a row after Boston. So, that’s it for Berlin. Chicago next! What else has been happening last week? Shero Des Linden was looking strong in her New York Marathon tune up race. It wasn’t just any tune up race either as the field included Sarah Sellers (famously the nurse who came ‘out of nowhere’ to finish second in Boston) and Kellyn Ttaylorwho ran a 4 min PR earlier this year at Grandma’s marathon to become the 7th fastest American at the marathon. A huge shout out to Julia from Carbs and Kilometres for running her second fastest ever marathon (3:31:22) when she had a cold and hadn’t even clocked the undulating course profile in the run up. I’ll be keeping you up to date with her Chicago Marathon progress as she aims to heep her streak of year on year PB-ing. 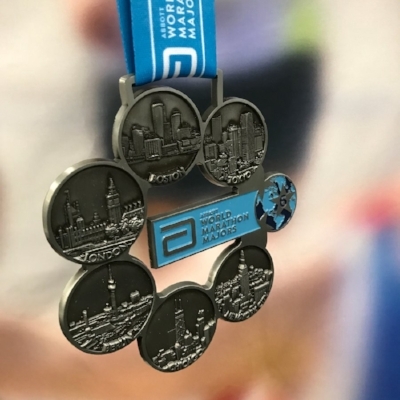 Last week, the Blackmores Sydney Marathon served as the Australian marathon champs. It doesn’t look like too many Aussies cared about the title as the top Australian male, John Csongei, ran just 2:30:39 for 9th place overall while the top Australian woman, Kerri Hodgeran just 2:49:08 for 8th. 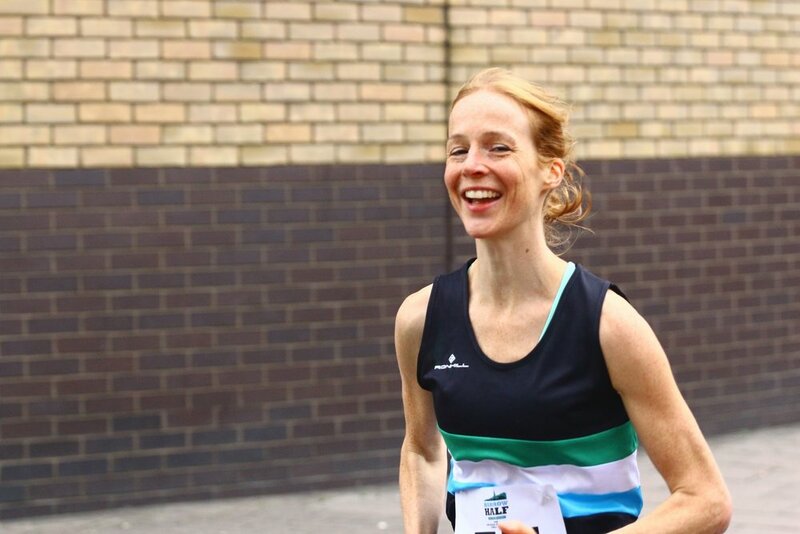 Charlotte Purdue (GB) will miss New York Marathon. I’m particularly sad about this as I would LOVE LOVE LOVE to have some strong GB representation at the US major marathons. Also sad for Charlotte of course, who has been suffering with a virus and needs to fully recover. Jordan Hasay has dropped out of Chicago Marathon after discovering another fracture in her heel bone, having successfully rehabbed the previous one. What a kicker. Each week Cajsa and I bring you the news from the roads and the trails. She has her own trail roundup here this week featuring a trio of Scottish races, Chiltern Wonderland and Tor de Geants because she was more organised than me!